It appears that summer has finally arrived in Montana, but as some might say, 'Like a woman's fancy,' that could change in 10 minutes! Since I am a woman, it is safer for me to make this statement, even though gender does not necessarily have anything to do with changing our minds! The Sunday Latigo cartoon today demonstrates how conditions can push sudden changes in our lives. Our Chat room picked up a couple of new visitors this month, Flatwillow from Montana's Petroleum County, with interesting tidbits from his daughter about working on the set of the new Lone Ranger and Tonto movie. The movie is in progress at an undisclosed location and stars Johnny Depp. Cindy and Sam came onboard, both huge fans of Johnny Depp (as is Stan), and Ken Colson came late after the hour was up with a question about any new novels in the works (hope you make it for live chat in July, Ken)?Answer, yes, and yes! We received the first proof on the next Merlin Fanshaw The Big Open, but the unedited manuscript is what was sent…so Stan was quick to straighten out the facts. We expect a new proof soon. I include a copy of the cover. The Big Open is not yet available, but the cover will give you a quick glance at how tantalizing the subject of this newest Merlin Fanshaw novel is, as a picture is often worth a thousand words! The photographer, James Woodcock of the Billings Gazette, Billings, Montana, took the photo in 1989 during the Great Montana Centennial Cattle Drive, and aptly named the photograph The Big Open! Providence? 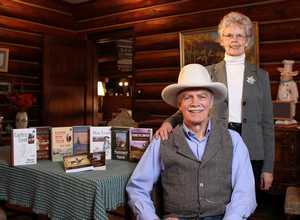 Stan and another friend were the creators of this great 100 year celebration of Montana's statehood. 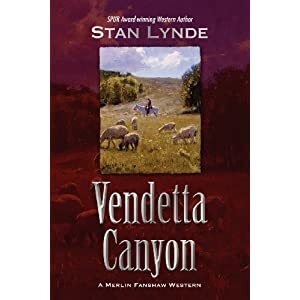 I also want to report there was a slight hiccup on the E-Book version of Vendetta Canyon, the most recent reprint in the Merlin Fanshaw series. You have been able to buy a Trade Paperback, but the E-Book version did not make the 'final cut' date as is normal. There was a delay in publishing it in E-Book form. 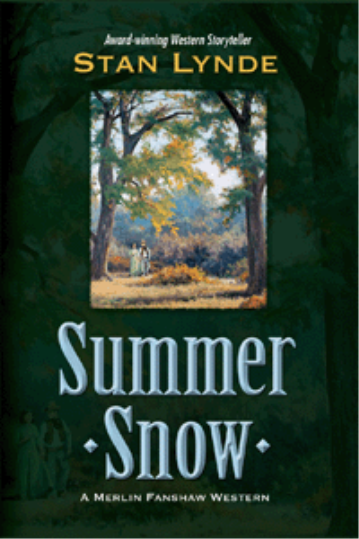 Keep checking with Amazon for this wonderful Merlin Fanshaw story about a family feud, and its' surprising conclusion http://www.amazon.com/s/re=nb_sb_noss?url=search-alias%3Daps&field-keywords=Stan+Lynde%2C+kindle%2C+vendetta+canyon+novel ($9.99 for Trade Paperback. $2.99 for the E-Book version as soon as it is available). As a final word and reminder, the next chat room is coming SOON. The first Monday in July is JULY 1ST 7 - 8 p.m. Mountain Daylight Time. Hey, it's cowboy country, is there any other time? Next topic in the Chat Room is 'Fiction Writing 101!' Read Stan's Personal today about this topic and come prepared for some lively discussion! And Dan Richmond, winner of last month's Merlin Fanshaw Monthly Quiz, we hope you are back at the July 1st chat. We missed you in June! New to the Chat Room? Stop by a few minutes early to sign up with your real name, or think up an alias to keep your anonymity, or to keep us guessing who you are? Here's the link http://stanlynde.net/chat-room_290.html. Reminding everyone to keep a watch in all the western media posts, blogs, and talk spots for opportunities to keep in touch with the vast western family via the Internet. 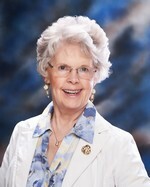 If you run across some of the posts of Stan's work, very likely Bonnie did the posting and she alerts Stan to 'cowboy up' to comments she finds as she is cruising the Internet highways. Bonnie posts new Stan Lynde cartoons each and every Sunday, so grab your morning java and check online for authentic western humor, cartoons and commentaries at Stan's blog http://www.stanlyndeauthor.com. The adjective is the enemy of the noun and the adverb the enemy of damn near everything else. Have I ever broken the rules? Oh, yeah. Have I ever. However, I am presently in recovery. I finally admitted I was powerless over the adverb, and that my writing had become unmanageable. Here, I’ll write a few sentences on the blackboard. “Don’t mess with my grizzly,” the hunter growled. “Gee, Mary, you’re a peach,” Harold gushed. “I hate your guts!” the burglar said angrily. Did the hunter really growl? Did Harold really gush? Did we need the word “angrily” to tell us the burglar was angry? I didn’t think so. Don’t be afraid to write “said.” I know it will seem repetitious to you, but your reader won’t notice. Trust me. Class dismissed. Will someone remain after class and help me clean the erasers? Sunlight exploded through the notch that was Brimstone Gap and sent long rays of brightness across the badlands. Rutherford whuffed, grunting, as he stepped off into a shadowed wash, then gathered himself and lunged back up and out into the daylight. I slowed the buckskin from a trot to a walk as I rounded the mesa’s base. The weathered old barn, looking lonesome and forlorn, came into view as I topped the rise. In the valley below, still in shadow, lay the abandoned cabin, weed-grown and fallen in upon itself. The old windmill stood on spindly legs above the springs, the rotting blades of its fan wheel like the petals of a dead sunflower. I drew rein and pulled the buckskin to a stop. Barely breathing, I sat, listening. 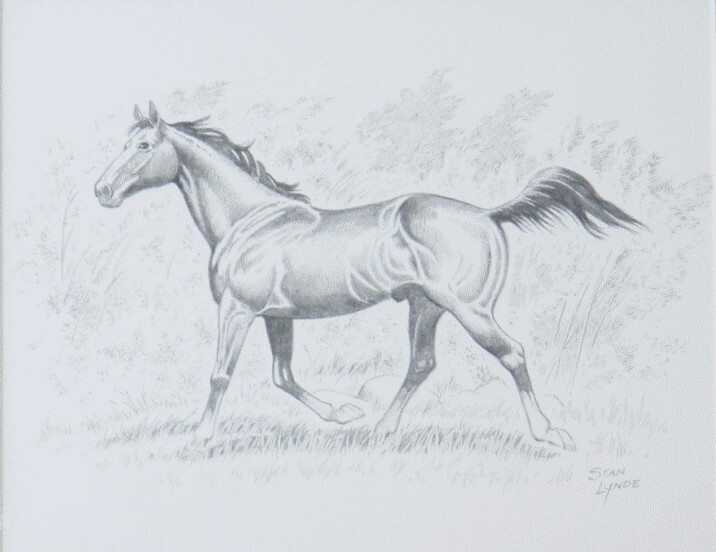 Rutherford bowed his neck, rubbing the side of his head against his foreleg, and I heard the clicking of his bridle bit, loud in the stillness. Beyond the barn, a raven rode the rising air currents out across the valley, its call raucous and rude. I shifted in the saddle, and heard the leathers creak. I held my breath. Tense as a bowstring, I waited. Good luck! The winner will be announced next month! CLICK ON EACH CARTOON TO GET THE FULL SIZE AT STAN’S WEB SITE. Here is a small rendition of this Sunday's 06-24-12 Latigo cartoon. Go to StanLyndeAuthor.com for the full treatment! That's the end of June news for the Cottonwood clarion Newsletter! May your summer days be pleasant, filled with good memories, not too hot, and with cool evening breezes. 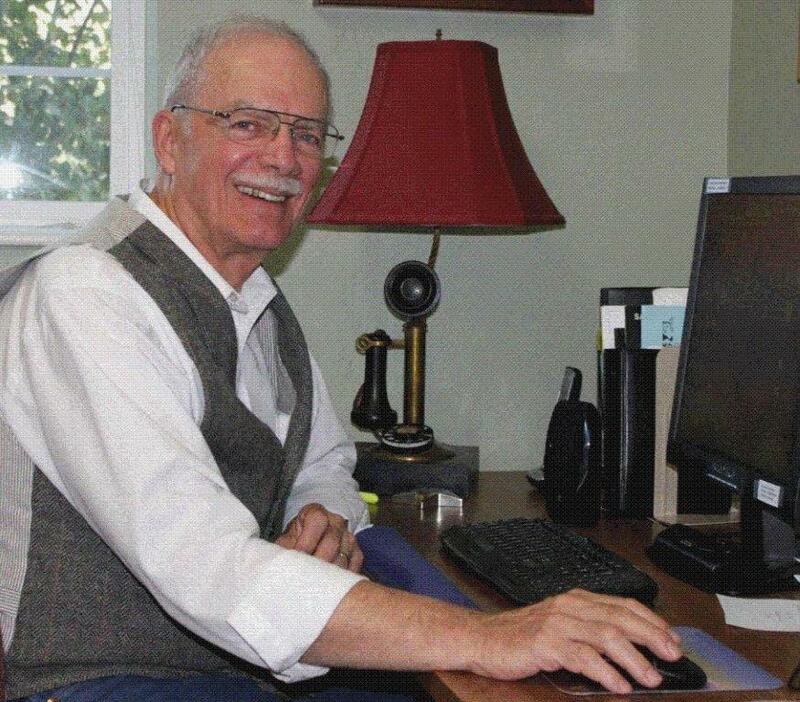 Stop by for the monthly first Monday evening lively chat with Stan at his web site http://stanlynde.net/chat-room_290.html. 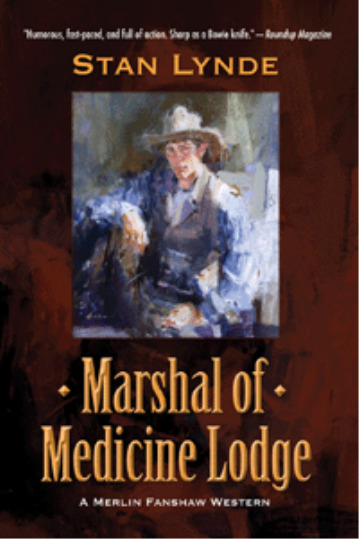 Join other fans on July 1st 7-8 p.m. when the topic is Western Fiction Writing 101! Watch weekly for Sunday morning cartoons at Stan's blog http://www.stanlyndeauthor.com, and lastly (for reminders) the next Cottonwood Clarion 4th Sunday in July is July 22nd! Remembering, as you celebrate the 4th of July the freedom's we enjoy were bought at a price. Freedom, in my book, is so sacred that it is our solemn duty to decide how we honor and maintain that freedom. Have a safe and enjoyable 4th of July! God bless America! 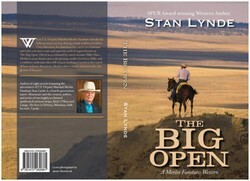 CLICK ON THE PICTURE TO GET THE FULL SIZE AT STAN’S WEB SITE.